Join us for 3 sessions to make this adorable quilt. Learn new techniques and perfect old ones. 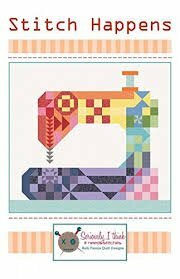 This quilt is made up of classic blocks that make the shape of this cute machine. Bring your regular sewing and cutting supplies. Please purchase your pattern and fabric from TRTI.